In order to provide ethical care to others, you must take care of yourself. Come prepared to think beyond the traditional self-care paradigm of needing to eat well and exercise to a paradigm that encompasses the totality of who you are in relationship to those you serve. This presentation will address the ethical issues that surround self-care and wellness as a helping professional. Along with highlighting aspects of the ACA, NAADAC, National Association of Social Workers (NASW), NOHSP, APA, and The Commission for Casemanager Certification Code of Ethics, the presenter will unpack why wellness and self-care should take center stage in your professional life and how you can make it work for both you and your clients/consumers. Research that links wellness and positive client outcomes will be presented. At the conclusion of the presentation you will also know what you can and should do if you, or any of your colleagues, need to step away from the profession in order to get well. Know how and when to implement informal and formal procedures for getting yourself or a colleague the help they need to stay well. Dr. Tammy Scheidegger is a tenured, Associate Professor in the Graduate Program in Counseling at Mount Mary University and the Practicum and Internship Coordinator. She served as President of the Wisconsin Counseling Association from 2012 -2013. In 2012, she was also an invited member of the Wisconsin Department of Safety and Professional Services taskforce to re-write the educational requirements for Professional Counselors. 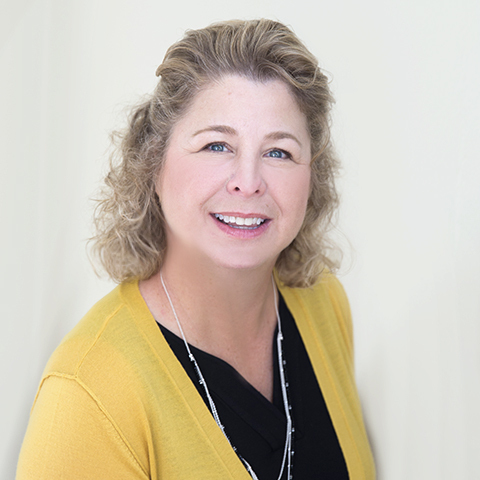 She currently serves as an appointed member of the Wisconsin Department of Safety and Professional Services, Joint Board for Marriage and Family Therapy, Professional Counseling, and Social Work Examining Board and the Licensed Professional Counselor section. She received her Ph.D. in Marriage and Family Therapy from The Ohio State University in 1998 and has undergraduate and graduate degrees in family and human development. Before moving to Wisconsin in 2005, Dr. Scheidegger was engaged in a group counseling practice in the state of Ohio that was affiliated with Fairfield Medical Center. Dr. Scheidegger has worked with a variety of clients in several modalities (i.e. individual, couples, and families), and has a specialization in Family Therapy with children and adolescents. She has also worked extensively with eating disordered clients and in trauma and disaster response. She speaks extensively on secondary traumatic stress, trauma informed care and trauma sensitive schools, supervision in the counseling profession, and child and adolescent development in the context of family functioning. She has also consulted with under-served rural schools on mental health and counseling needs. She is a member of the ACA, WCA, AACE, ACES, AAMFT, WMFTA, and past member of NCFR. Dr. Scheidegger is a Licensed Professional Counselor in the state of Wisconsin and is a National Board Certified Counselor. Her publications include: Parenting practices of rural families and their relationship to adolescent educational and emotional outcomes; Family structure, process, and values as influences on educational aspirations among rural youth; Engaging children in therapeutic enactments with the use of a video camera; and Emergency intervention procedures to prevent suicide among runaway youth: A manual. She currently teaches courses related to trauma counseling, couples and family therapy, eating disorders, psychopathology and advanced issues in clinical mental health as well as supervising graduate students as they complete their internship experience in the counseling field. In the past two years, Dr. Scheidegger has worked with her colleague Dr. Carrie King, along with many of her graduate students, to train and implement trauma informed practices in the greater Milwaukee community as well as to train and implement trauma responsive school practices in the Milwaukee private school system. They have received two grants from the Charles E. Kubly Foundation supporting their work and research in developing trauma sensitive schools. Carrie's and Tammy's work on trauma was presented in Montreal, Quebec, Canada and Banff, Alberta, Canada in 2016 and will be presented in St. Louis, MO and Capetown, South Africa this spring.